I have a pretty liberal definition of what an art supply is. Not quite as liberal as those who say everything is an art supply because (almost) everything you do is art of some kind. But I do think more qualifies as art supplies than the average person does. For instance I would say that everything meant to make a mark is an art supply. 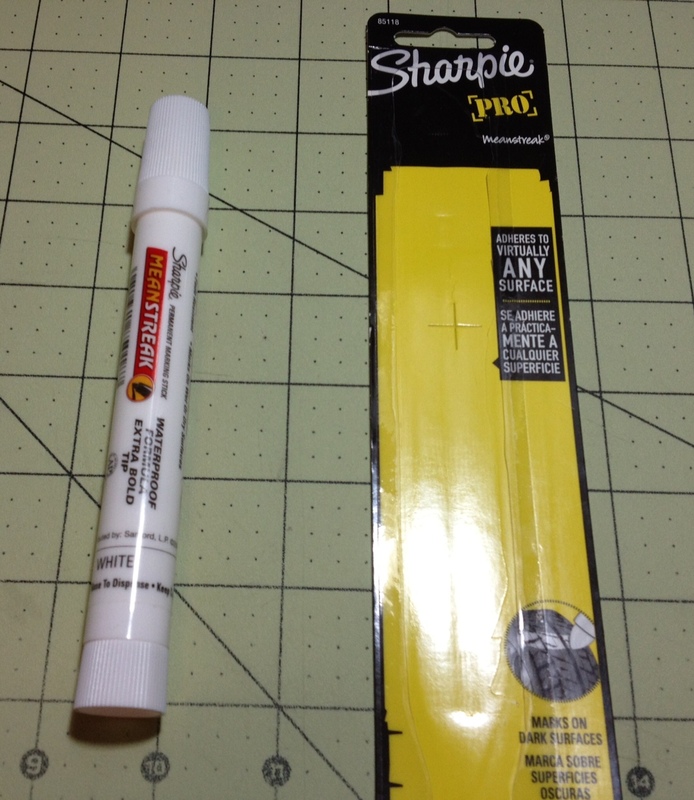 And that assumption will be tested here where I take a look at the Sharpie Mean Streak “permanent marking stick”, and see if it has any real art applications. The body is quite large, being about half an inch in diameter. It’s got a good amount of information on the side, but it gets a bit cluttered-looking. The back is a twist knob, like a glue stick. The cap has a slight taper with several ridges for grip. Inside is a pointy cone that can shape or dent the “marking stick” if you put it in slightly wrong. Inside around the “marking stick” (grease, wax, or whatever it is) is a sizable ridge that is quite uncommon on writing implements. There is also no grip section area. There are two ways I can describe this, either as a permanent (wetter) crayon, or a more slick grease pencil. Neither of those descriptions really tell you exactly what these things are. The inside substance comes in a pointy cone that is pretty useless. It’s very putty- or grease-like and when used the point becomes very flat very fast. It writes similarly to a crayon, in that it isn’t easy to control or sharpen. When the tip is flattened beyond a certain point, the base can be twisted to extend the point, but it can’t be retracted, so remember to not twist it too far out (that shouldn’t be a problem unless you’re an impatient reviewer like I am). The feeling it has is very slippery, and quite a bit of material comes off for not a lot of writing, but there seems to be quite a bit of it in the barrel, so running out should not be a major problem. Performance is a bit disappointing. The white color doesn’t cover very well at all, meaning use in art as either correction or even to mix with other colors is very limited or would require re-application. It can be used as a covering to make things “hazy” but the coating is quite unpredictable. It likes to clump up in certain areas and barely cover others at all, meaning detail work also shouldn’t be done with it. As far a permanence goes, it is, but not wholly. I did testing (not just normal use) on metal and paper. Both were reasonably water-proof, on metal flame did nothing to it and on paper it did resist the flame but once the paper burned it did too (not that anything else would have happened). Then on the metal piece it stood up to WD-40, which has a knack for removing regular Sharpie, but was easily wiped away by isopropyl alcohol. I also suspect it could fairly easily be scraped off or crack easily on pliable surfaces. It does go on whether the surface is wet or dry as advertised and does dry in a fairly short amount of time for how tacky it is to begin with. I would still consider this an art supply, and it can work well in mixed media, but really it is much more at home in the garage or the toolbox. 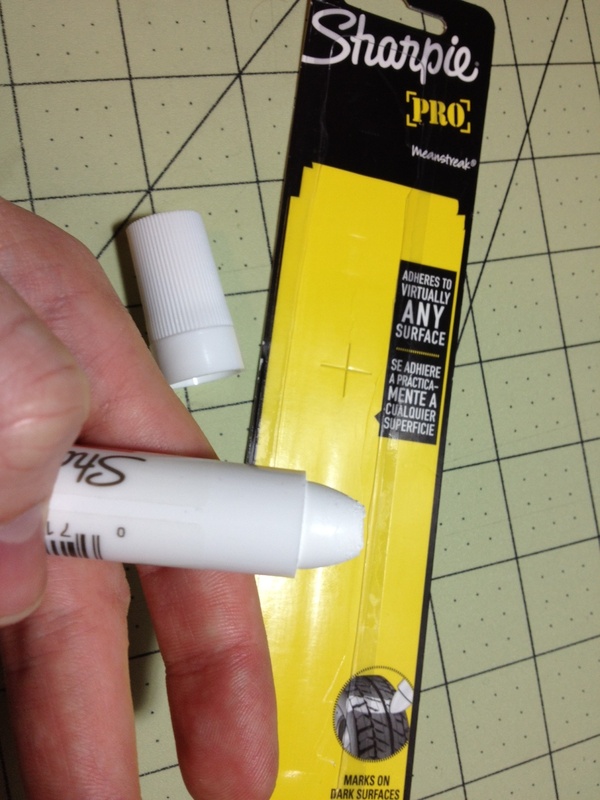 The tip and lack of sharpening or controlling method means it works quite a bit better when marking large surfaces. It is “permanent” in that it’s hard to purposefully get off, but it doesn’t penetrate and won’t wear terribly well. It’s an interesting item, but certainly not a general use-one.